Focus on the right prospects and customers. Such companies also know how to transform each of their customers to a right customer by focusing on Customer Lifetime Value (CLV). Focus on the right revenue type (ARR, MRR), contact length and payment terms. Focus on the right costs and their impact on ARR (acquisition, servicing/retention, renewal/upgrade). Understand the impact of ARR churn (rather than customer count) to their business model. Identify other necessary operating expenses (R&D, platform, contract admin) and their impact on ARR and profit margins. Determine the necessary investment to reach profitability under the business model they use. Understand when to go for market share and when to go for profitability. A few weeks ago Pacific Crest published the results of their most recent survey of SaaS companies. I thought it would be appropriate to comment on the survey results as they provide broader quantitative support to many of the conclusions I had been reaching by looking solely at our portfolio companies. Pacific Crest surveyed 70 SaaS companies whereas our portfolio includes 12 such companies. Higher-growth companies control better their Customer Acquisition Cost (CAC). For such companies CAC is much smaller than the Customer Upsell Cost and Customer Renewal Cost. Handling renewals and upsells over the internet and making such processes extremely easy for the customer is particularly important for keeping the associated costs down. Renewals are still more important today for SaaS companies than upsells which, according to the survey, represent only 15% of ACV. Field is becoming a more important sales channel particularly for companies whose solutions command higher ACV ($25-100K+). Associated with this result is that the enterprise is becoming a more important segment for SaaS companies as many of the surveyed companies stated. Professional services account for only 15% of the surveyed companies’ ACV implying that there is still room to grow. As investors we could accept SaaS companies having up to 25% or so of their ACV coming from professional services. Companies with higher growth rates spend more on sales and marketing. The media gross margin in the surveyed companies was 71% against Pacific Crest’s model margin of 75%, implying that the surveyed companies are moving in the right direction. The term of contracts is getting longer. Most customers, particularly enterprises, are signing at least 1-2 year contracts and are willing to pay upfront for the first year of service. This obviously impacts positively a SaaS company’s cash flow. Over 85% of contracts that are coming up for renewal actually renew implying strong customer satisfaction with the SaaS solutions. ACV churn is a better measure than customer count churn. The companies that were surveyed showed only a 5% ACV churn. Also, as I’ve also been saying, the survey showed that customers signing short-term contracts are more likely to churn than customers that sign longer-term contracts during which they have the ability to truly evaluate the service and have significant ROI. Also, companies that use primarily field sales experience lower churn, most likely because these companies sign longer-term contracts with their customers. 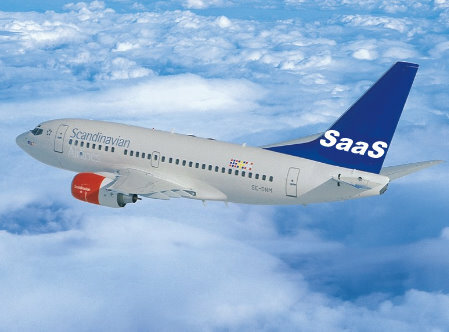 SaaS companies remain rather capital inefficient, very likely because of the increasing use of field sales, working with enterprise customers that typically implies longer sales cycles, and increased marketing costs which are again necessary as each company is trying to differentiate itself from its competition. Thank you for the article. Is not it easier to integrate all the functionality of SaaS solutions and CRM, and file storage in one software, such as Software as a Service TeamWox?